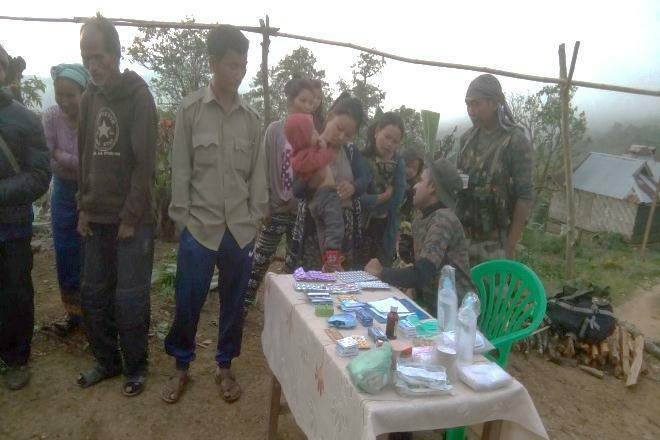 Assam Rifles conduct Medical Camp and 12 Assam Rifles of 26 Sector Assam Rifles under the aegis of IGAR (South) has been at the forefront in providing helping hand to the needy villagers in Tengnoupal District. 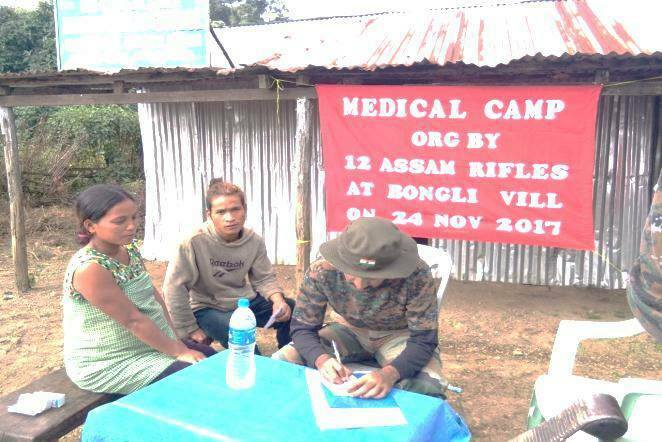 In yet another initiative 12 Assam Rifles on 24 Nov 2017 conducted Free Medical Camp for the villagers of Bongli, Tengnoupal District. A team of doctor and paramedics of 12 Assam Rifles treated the Patients. A total of 98 people were treated. Chairman of the village expressed their heartfelt gratitude to 12 Assam Rifles for this initiative. Village chairman and the villagers also appreciated this gesture immensely. Company commander of COB Sita interacted with villagers and assured them of all possible help on behalf of the Security Forces. The unit’s continuous efforts in increasing the bonhomie between the Security Forces and local populace has resulted in strengthening of relations between the locals and the Security Force.